This leisurely and breathtakingly scenic driving tour takes us east through the majestic Rocky Mountains from Mount Norquay and Banff on the Trans-Canada Highway which spans coast to coast and offers spectacular Mount Rundle on the right, through Canmore, past Dead Man’s Flats, Lac Des Arcs and Bow Valley Provincial Park. As we head south onto Highway 40 that leads to the towering peaks and crystal-clear lakes of Kananaskis Country, our first stop is the Alberta Tourism and Information Centre in Kananaskis. 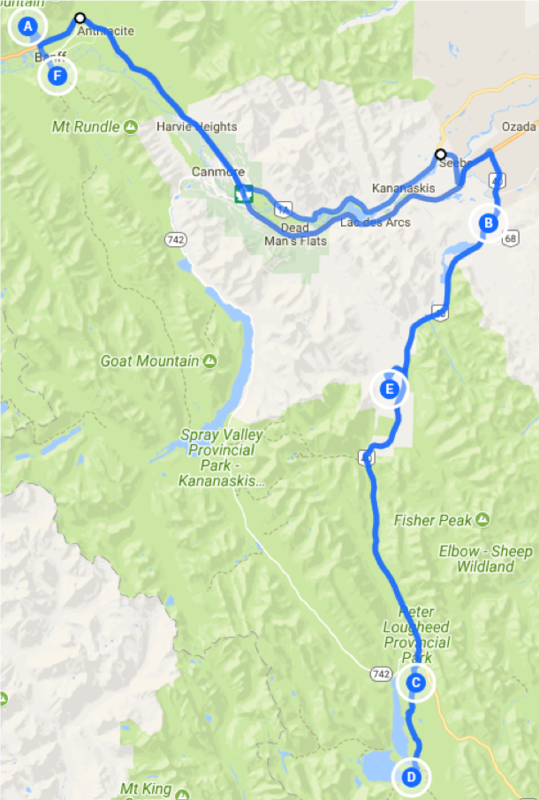 Kananaskis Country includes five provincial parks, four wildland provincial parks, one ecological reserve and several provincial recreation areas. Continuing south along Barrier Lake and past Nakiska ski area, site of the 1988 Winter Olympic downhill skiing events, our travels take us into Peter Lougheed Provincial Park with our next stop at the Peter Lougheed Visitor Information Centre. We will also make a brief stop a little farther into the park at picturesque Upper Kananaskis Lake. After experiencing these spectacular views, we’ll retrace our travels and return to the Kananaskis Mountain Lodge adjacent to Nakiska Ski Area for a hearty lunch.